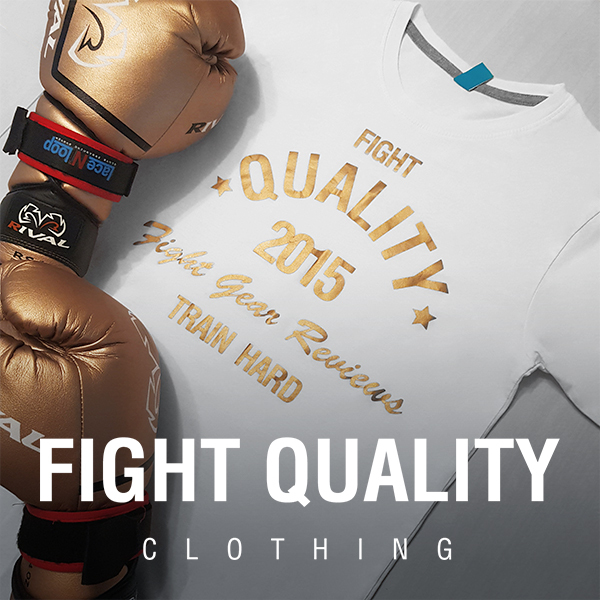 Originally founded in 1910, Everlast have been a big name in the boxing world for many years. They’re now one of the most widely known USA boxing brands, with gear lines for boxing, mixed martial arts, and fitness related sporting goods. The Everlast Pro Style Elite Boxing Gloves seem to be an upgraded version of their regular ‘Pro Style’ training gloves. They feature a slightly different fit and shape with a couple of different features. They’re aimed more at beginners than professionals, and so have a great value price point to appeal to those starting or looking for a great deal. They’re designed more for boxing, but will work just as well for other martial arts like kickboxing or Muay Thai. We’ve reviewed the 14oz, as these make a great all-round weight for starters. The gloves themselves are fairly average in size compared to other gloves, however the finger compartment seems a bit shorter than some other gloves. The padding is distributed evenly all over, including an amount around the ‘shielded’ section of the wrist. This has its benefits for blocking and wrist support, but at the same time means the gloves don’t have as much protection around the knuckles as they could. The Pro Style Elite gloves have a rather unique style, which makes these gloves stand out. This is because of the previously mentioned ‘shield’ section on the back of the wrist. Some of the colour combinations are brighter than others, however we’re sure everybody will be able to find a colour choice which suits them. The colours available can be seen in the image below. These gloves are certainly a good choice for anybody wanting to stand out in the gym. Looking closer at the details, the graphics are printed well and it’s clear that thought has been put into the visual styles of these gloves. The gloves are made with synthetic leather. The material has a nice, smooth finish to it, but is quite noticeably synthetic when touched. The internal material is a little bit stiff when new, but softens up slightly after some good use. This can be a bit annoying around the fingers to start with, however with hand wraps on isn’t a problem otherwise. The hand is almost entirely a mesh palm. Unlike most gloves which just have a small breathable section, these are mesh from down by the strap, right up to the fingers, with a little bit on the fingers itself. This means that the gloves have superb breathability and will air out much easier than most, although the glove does lose its shape slightly when not being worn. The inside of the mesh palm is smooth to the touch, and doesn’t feel too rough on the skin, so shouldn’t rub too much. The Velcro on the gloves is intentionally designed to be a small section rather than the long wraparound strap often seen on other gloves, but the Velcro itself is fairly strong and holds in place quite securely and the elastic has a tight stretch to it, so you can wear these with no worries about them coming loose. The build of these gloves has its pros and cons. The stitching all seems well done and neat, however there are a few loose threads at the ends of stitches which could have been cleaned up. The synthetic leather is pulled nice and tight over the glove, however crumples quite a bit at the edges where the gloves curve. This is more of a visual issue however. Inside the glove, the material is a little loose and I find gets caught up around the fingers sometimes, however there is plenty of room for the fingers, and this issue is easily resolved with a little wiggling about. The thumb position feels a little high for my personal liking, and felt a little more upright than I would prefer, although everyone has their own personal opinions when it comes to thumb positions. The first thing I noticed about these gloves was the fit. I have fairly average sized hands, and these gloves seemed fairly tight. Usually the weight of the glove affects the size, however as these are 14oz versions, I would assume the gloves are just a small fit. This may be a problem for people with larger hands, but for anyone else, they seem fine once you have them on and start using them. These gloves feel a little odd to do up, as most gloves have a wrap around Velcro system, however they secure themselves nicely. The straps are much easier to do up and undo than wrap around ones, and because of the elasticated section means that they are always fitted tightly around the wrist. Unfortunately the padding around the knuckles is very basic, and I wouldn’t advise using any of the lighter weights for long periods of time, but for short or light sessions they work fine. I wouldn’t suggest sparring in these, simply because it means less protection for the person you’re hitting. For fitness purposes, these are nice though, and the mesh palm is great at keeping your hands cool. While some gloves may get hot and sweaty, these felt cool to use at all times. They also have a grip bar which is actually a little softer than that on most boxing gloves, which allows a nice fist to be made. My favourite feature about these gloves however is the shield section on the back of the wrist. The wrist support is far superior to almost all beginner gloves, and even some of the more advanced gloves. The shield provides a soft bur firm support which almost completely eliminates any accidental bending of the wrist when punching wrong, which is a massive benefit for any beginner. Most people starting boxing have bad form when it comes to punching, and knowing that these gloves will eliminate that and protect from accidents slightly is a great benefit. These gloves RRP at $39.99, which is a fairly average price for beginner gloves. The gloves are aimed at beginners, and definitely capture that market. The gloves have a number of features such as the wrist support which set them apart from other beginner gloves, and have a good standard of quality which some beginner gloves lack. While they aren’t by any means perfect, these would make a great pair of first gloves, or perhaps a good additional pair of gloves for bag and pad work. Hi ! try gloves from https://www.roomaif-shop.de/boxhandschuhe/roomaif-boxhandschuhe i am damn sure you liked it ! I suffered a pretty bad wrist injury with these gloves. I can’t fault everlast too much as these are marketed as beginner gloves but if you are seriously considering getting into boxing do yourself a favor a buy a decent pair. Hand health is paramount! Sorry to hear that. We found the wrist support on these gloves was far superior to other gloves in the same price range (such as the Lonsdale Pro Style gloves we’ve reviewed). Still, as you say, these are budget gloves, and there are much better options out there. We have the gloves and pads. Ripped my nail off the nail bed with one punch with the gloves, left a massive bruise and lump when I kneed the pad first time. No point using them. May as well not have pads. Ouch. That doesn’t sound good at all and it’s not something we’ve ever seen before. Did the nail catch on the inner material? Not sure which pads you’re referring to, but focus mitts often arent meant for kicks and knees, and can be a little hard, which can cause bruises if your skin isn’t used to it. Ideally if you’re throwing knees a pair of Thai pads would have much more padding, or you can find knee protection for fairly cheap! Hey thanks for your reply. The nail didn’t catch on the material but it was long enough that it was kind of levered off so when the end pushed down, it came up from the nail bed. The pad I used to knee was meant to be used with the gloves so I guess I shouldn’t have kneed it. I have a black knee cap now to teach me a lesson! As guys, the long nail issue is something neither of us here have had to worry about… Hopefully though next time you get around to it you’ll have a much better experience!